This is important. This moment, this school, these girls, these teachers. They matter. You might be thinking that I’m wrong, that there are so many really important things happening in the world: poverty, natural disasters, environmental crises, presidential elections. How can one small girls school in our medium-sized American city be important, in the grand scheme? Here’s how. The world can be better, and girls and women – and the systemic change they can put in place – will make it so. 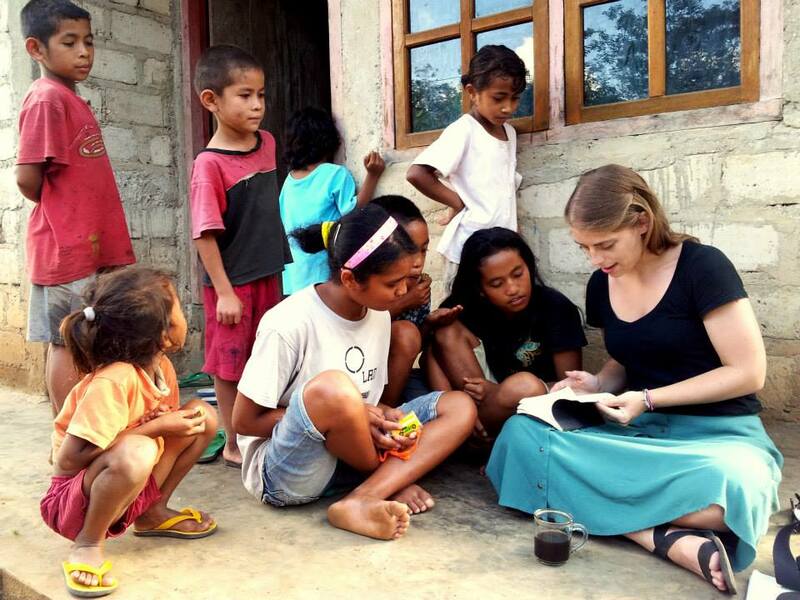 Our alumnae tell us about how they want to change the world – or how they are already doing so. They are leaders, researchers, teachers, and activists. Some are working in kindergartens and some are working in the White House. All of them are people who believe they can and should stand up for social change. They talk to us about how they once were ten year olds with potential, who found themselves in a learning community that pushed and nurtured, cared and catalyzed, so that they could grow into people who are compassionate, confident, and ready to work for the greater good. We are with our students for just three short middle school years, but what important three years they are. It’s an intense time of developmental change and an important phase of identity development. It’s a potentially tumultuous period of social, emotional, and academic learning. It’s when kids begin to shape their own values, separate from the values of their parents. Some of the biggest changes are happening in their brains. We know now that adolescence is a second critical period of maturation, much like early childhood. Neurologically, it’s a time of synapse pruning. There is a kind of remodeling of the brain during adolescence as the synapses make the brain more efficient, and as the prefrontal cortex matures certain connections are strengthened. Additionally, there is an increased use of the medial prefrontal cortex which is associated with higher level thinking and empathy. And we also know that environmental experiences, including the educational environment, can and do profoundly shape the developing brain. What an opportunity – a terrifying, broad, and brilliant opportunity – we have, then, to do this work with adolescent girls. You have probably heard that middle school is a time when girls lose confidence, lose interest in STEM subjects, and engage in negative peer relationships. It’s true, statistically; the research shows it. But it doesn’t have to be that way. LWGMS has succeeded in rewriting that narrative for our students. Instead, we have found that middle school can be joyful; it can be transformational. Instead, we build confidence through challenges; we expose girls to disciplines and paths where they’ve traditionally been underrepresented, and we coach them in how to work as team members and leaders. Instead, we offer them lots of chances to take risks, to approach problems in new ways, to make things, and to make mistakes. With a curriculum rich in STEAM, social justice, and performance and presentation, L-Dub girls grow creative confidence as problem-solvers and makers, who speak up and stand up for what they believe in. Our origins as a startup of sorts have translated into a school where an entrepreneurial spirit and innovative approach are evident in our students’ daily lives. 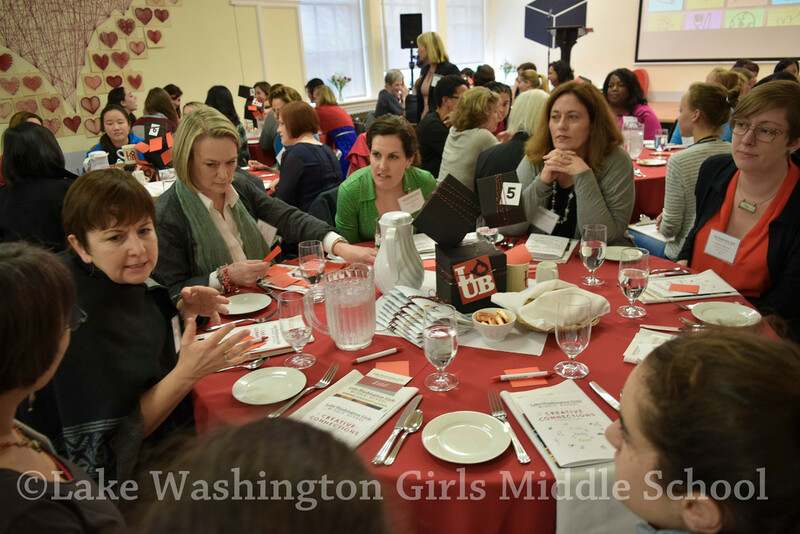 Our students come in as little girls but they leave as young women with courage, ready for high school and beyond. They graduate having done some hard work, having faced some big challenges, and having examined who they are and who they want to be. They are Life Ready: Ready to stand up to a mean comment, run for class president, start the club, and become a mentor to younger girls. Ready to do the research, make the presentation, respectfully challenge the professor, and negotiate the raise. Ready to lead, collaborate, and listen. And it’s important that there are girls and women out there, ready to do all of that. That’s why this school is important. That’s why these girls are important. They will be the leaders, the listeners, the collaborators, and the creative problem-solvers who will make the world better. Now, there isn’t one girl in our halls who will single-handedly solve poverty, the environmental crisis, and social injustice. However, there are hundreds of L-Dub girls out in the world, working to create change. They are creating ripples of change across the waters, and they are powerful. Thank you for supporting our mission and our students. The communications office was thrilled to partner with L-Dub friend and supporter, ingenious illustrator Edwin Fotheringham '12 to create this series of images we're calling Life Ready. At any moment of her day, an L-Dub student is empowered to envision her future, whatever that may be. The Annual Fund turns individual gifts of all sizes into a collective pool of support for every aspect of an LWGMS education. Every dollar is used to ensure that LWGMS is financially accessible to a qualified and diverse student body, recruits and retains an exceptional faculty, supports broad curricular and co-curricular programs, and provides and maintains the facilities possible to support academics, the arts, and athletics. THE CARY WYATT MCRAE MEMORIAL SCHOLARSHIP FUND was established when we lost our beloved friend and “school mom,” Cary McRae. The money raised for this scholarship enhances our financial aid budget to enable all girls admitted to attend LWGMS regardless of their family’s financial situation. This was a core value for Cary, and we are grateful to continue her legacy. Thank you to the following people who donated to the Scholarship Fund, through the Annual Fund and/or at the Annual Gala. You enabled us to support our community members receiving need-based financial aid. 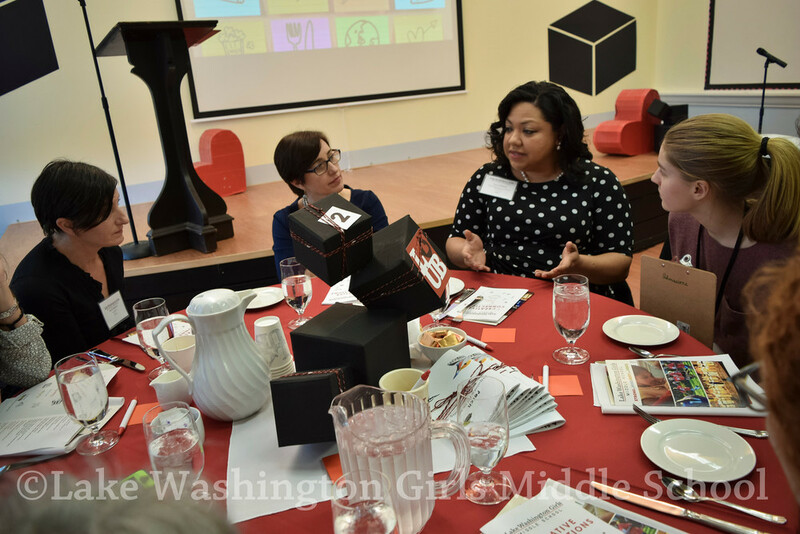 LWGMS was honored to participate in the sixth annual GiveBig! event, sponsored by the Seattle Foundation. The 2016 event was the most successful yet! The event generated $22 million in contributions to nonprofits, as compared to $16.2 million in 2015. 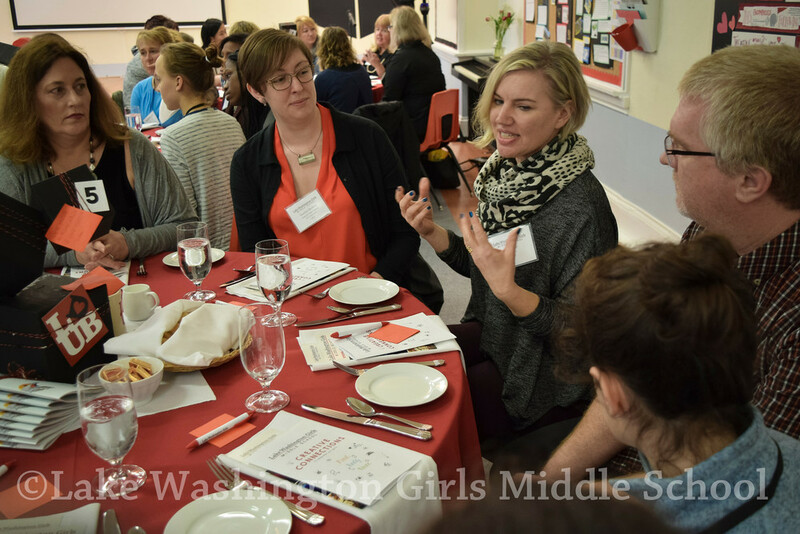 Lake Washington Girls Middle School was the lucky recipient of 24 gifts totaling $3,810, with a stretch grant from the Seattle Foundation of $500. Thank you for giving on this exciting day. We are so appreciative! We are pleased to have received donations from the following corporations and foundations 2015-16. Thank you to our donors who initiated these donations. "This piece...was a collaboration among three girls who were inspired by a young poet named Nate Marshall. He was featured in a documentary their class watched about a spoken word competition, or poetry slam, called Louder Than a Bomb. We call that style of poem an ego-trippin’ poem, and we used Nate’s piece as a mentor text, one that taught us how to employ hyperbole, allusion, and wordplay. More important, however, was what it taught the girls about honoring and celebrating their authentic selves. They loved the rhyme, wordplay, and the collaboration, but they also loved the swagger of it. It was a license to brag and permission to boast. And in doing so, they also sent out a call to others to embrace what’s real about who they are. We wanted these girls to perform for you because it’s not often that you see young women, or any women for that matter, celebrated for being brash and outspoken. We’re not used to it, and girls aren’t typically encouraged to try that on. You should know that every student in their class had the option of writing an ego-trippin poem, but few did. Many resisted. They worried they would sound conceited; stuck-up. It was risky – that kind of self-promotion. And they’re right. It is risky. Here at L-Dub, we want girls to take risks. In our society, we NEED girls to take risks. We need Beyonce to raise a fist during the Super Bowl’s halftime show, and we need Hillary Clinton to demand a seat in the oval office. We need girls to recognize that “self-assured is NOT cocky, that standing tall is NOT shadowing others, that confidence IS marvelous,” and we need all of you to help us celebrate when girls find the will and the courage to speak up." "What can schools do to battle the myth of effortless perfectionism? Girls get all these messages from media and society – and maybe from their schools and maybe from their parents – that they should be able to do everything well: do well in school, do well in sports, have a lot of friends…all with pressure to post all this success and happiness on social media. And there’s this other insidious expectation that they should be able to do so much so well without much struggle; without really trying that hard. In other words, “I woke up like this.” If you think back to the words of Corina, Celia, and Zoe who started us off today, you can see that they are aware of – and they are critically analyzing – this element of our culture where people sometimes measure their self-worth via the validation of social media. “You might think I need to get a life,” they said, “but at least if I don’t get a like, it’s alright.”"
"Teaching girls how to make film is also a social justice issue for women. You all know the statistics: women make up only 18% of all the directors, writers, and producers in the film industry, and that includes independent films. If we only look at the top 250 domestic grossing films, women directed only 9% of those popular films. And those are the films that saturate the media and damage girls’ self esteem around body image and leave us with so few visible role models for women. When I think about the topics our eighth graders chose this year, I wonder how different the world will be when women get behind the camera. We already know that when men direct films, only 9% of the protagonists are women but in films directed by women, female characters make up 40% of the protagonists. Women making films tell stories about women, and I know that girls have some great stories and a lot to say about privilege, equality, and justice." Jenny Zavatsky (Humanities, Mock Trial, Drama) addressing guests about LWGMS's filmmaking programs. This year we celebrate the Third Annual LWGMS Film Festival with social justice films made by the class of 2016. As part of the Social Studies class and the Walls to Bridges program, each eighth grader worked with her classmates to agree on a topic, generate a thesis, create a storyboard, integrate interviews, videos, and still photos, and edit a five-minute film that inspires its audience to act, to think, and to discuss important issues of race, gender, privilege, heteronormativism, stereotypes, ageism, ableism, homeless, and mental health. Through the long hours spent in Walls to Bridges workshops on privilege, ally-ship, and activism, the girls have explored some tough topics, and the films reflect their willingness and courage to identify problems and seek solutions. We are so proud to see the girls use their voices with passion and creativity and are impressed with their commitment to film as a means of social change. You can watch all of the 2016 Social Justice films here. Please feel free to provide feedback to our filmmakers! 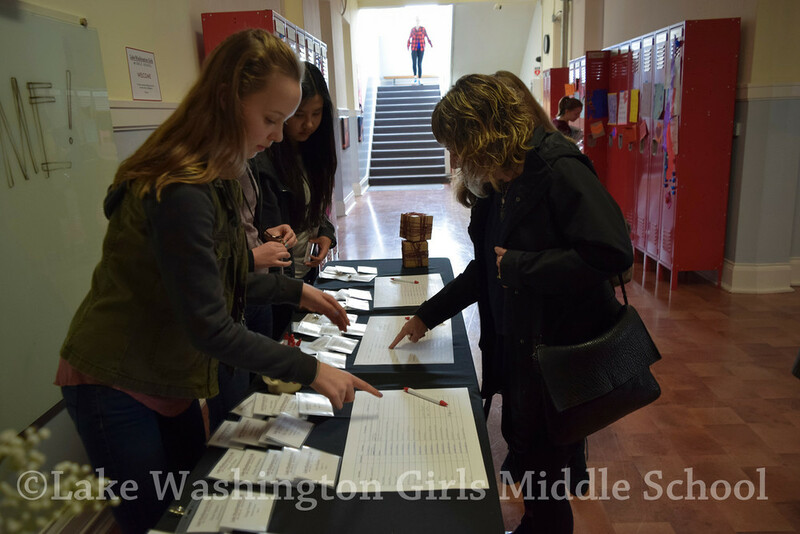 Last spring at Lake Washington Girls Middle School (LWGMS), thirty-four eighth grade girls embarked on a mission to change Seattle. Throughout the year, the students had participated in monthly workshops on issues like identity and ally-ship, as well as explorations of historical movements for social change. 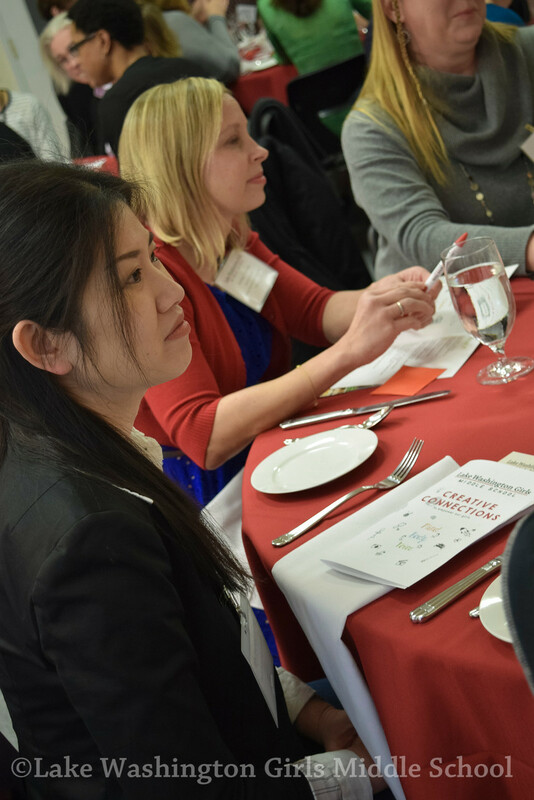 This program, in conjunction with the social studies curriculum, gave students the time and space to examine privilege and oppression and to develop tools to become agents of change. To spread awareness, they created a Direct Action Campaign called Peequality. On June 11 and 12, 2016, the students distributed posters and stickers that explain the issue and that show support for the basic right of having safe spaces. The stickers and posters can be placed in stores to show that the business supports transgender bathroom rights and will protect transgender people from harassment and discrimination. The students created a website and instagram account where additional information on their campaign can be found. "Walls turned sideways are bridges," said Angela Davis in 1974. 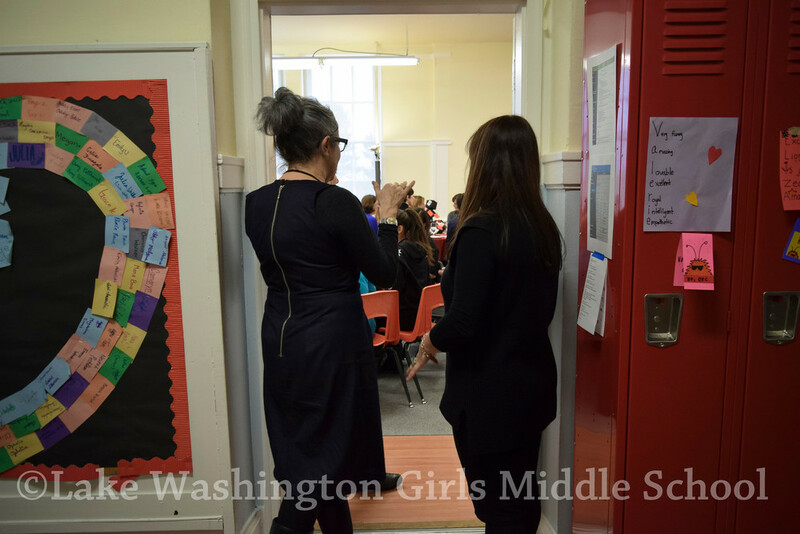 The eighth graders at LWGMS in Seattle engage in Walls to Bridges, a social justice curriculum that focuses on activism, leadership, and voice. 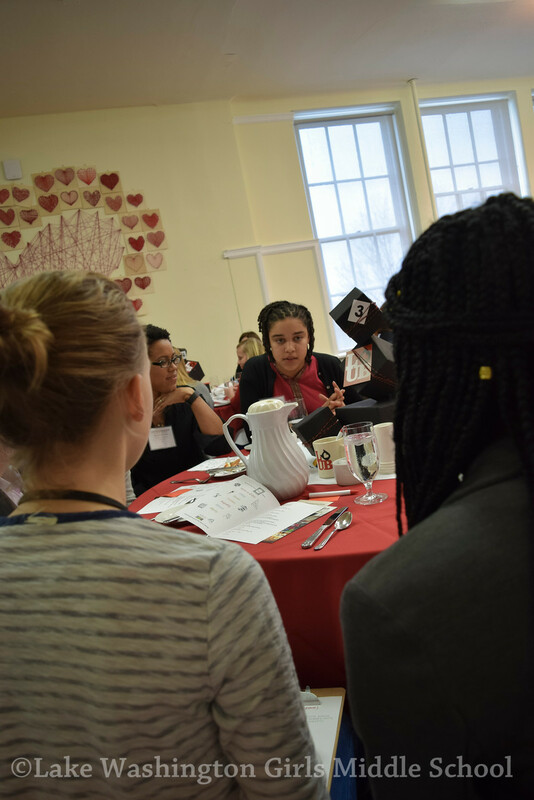 Throughout their eighth grade year, students participate in monthly half-day workshops on issues like identity and ally-ship, as well as explorations of historical movements for social change and models of leadership and activism. This program, in conjunction with the social studies curriculum, gives students the time and space to examine privilege and oppression and to develop tools to become agents of change. Ways LWGMS eighth graders practices using their voices last year included creating films as calls to action for LWGMS’s Annual Social Justice Film Festival, as well as their final project, a Direct Action Campaign called Peequality, both of which you can read about in this annual report. Walls to Bridges also serves as a forum for students to facilitate difficult discussions with the school community. After a group of girls made a film about implicit bias, Bias Beneath the Surface, members of the eighth grade class explored the Harvard implicit bias test with both students and teachers, and during an evening event on campus, the eighth graders led parents and other adults in a discussion about the impact of our biases on our decisions and perceptions. Most of us know about explicit stereotypes and biases – they are the kinds of beliefs we know we have, whether or not we like them. But what is an IMPLICIT STEREOTYPE? These are the kinds of biases that occur outside of our conscious awareness and control. During the evening program, we participated in a presentation on implicit bias given by Washington State Assistant Attorney General, Meghann McCann and discussed the hidden processes of the brain – and together, we tried to uncover our own hidden bias. Much of the work on implicit bias started began with a joint UW-Harvard research study known as Project Implicit. Today, Project Implicit consists of 14 different tests you can take on your home computer that examine different types of bias you may have. Consider taking at least one (there is one on gender!) as it will make the conversation even more interesting (and perhaps provide everyone with food for thought). We challenge you to test your brain and see where your bias lies. Take a test here. Flora '16: Our aim was to get across that implicit biases are a normal part of the way our brain works. Everyone has some implicit biases that are unconscious messages that we receive from peers, famous people, the media, and more, and we use that information to try to figure out how the world works and should work. Implicit biases occur when we receive messages that unconsciously tell us who or “good” or who is “bad”. Chelsea '16: A couple of things came up for us after the test when we talked about our feelings around having biases. For example, knowing your friends’ biases shouldn’t affect your relationships because everyone has them, and a person’s bias might not align with her conscious values. Tess '16: We hoped that parts of our film would be very thought provoking, such as the part where Anabel said that she felt embarrassed when she found her results, and that she didn’t think she was “a racist.” We hope our film will help us all be aware of implicit biases and work toward changes in our attitudes and actions towards others. For the past decade, L-Dub – supported by countless volunteers hours and donors – has held a fundraising auction in the spring. Planning begins in the fall and after months of procuring goods, services, trips and adventures our community gathers to celebrate and raise critical funds for our beloved school. Alumnae come back to help and inspire, faculty speeches are made, and everyone leaves feeling hopeful for our future, knowing we are in good hands with L-Dub Alumnae at the helm of this complex world we live in. 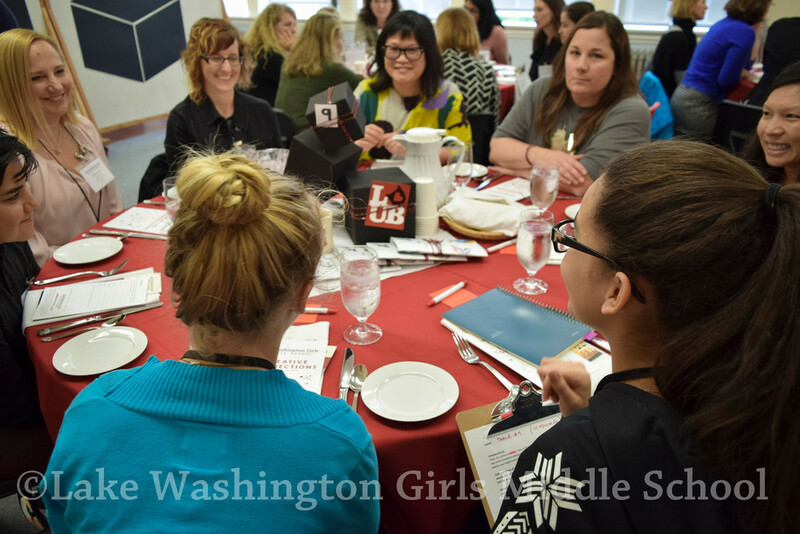 We also spend much of the evening bidding on silent auction items, raising our paddles in the live auction, all while wishing we had more time to enjoy conversations with friends, make new connections, and relish in a program highlighting what L-Dub is all about – the girls! If any other alumnae out there would like to send a similar story or message to our girls/the school, please submit your video here. 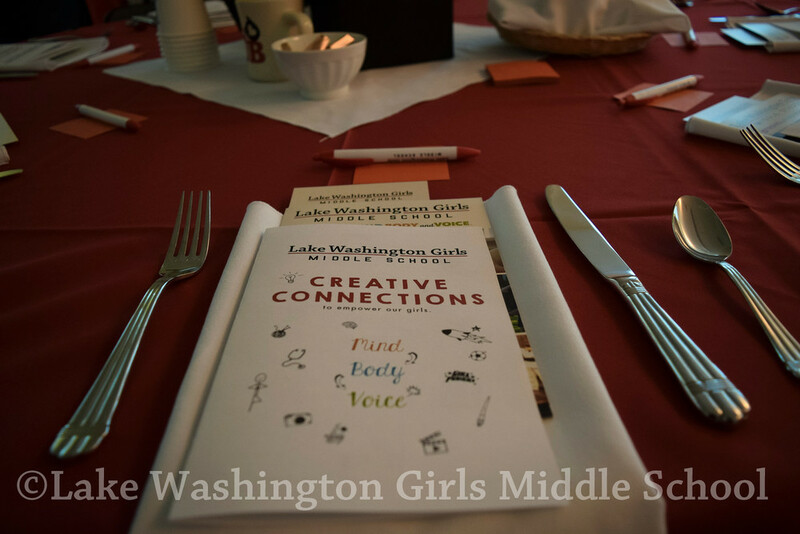 Thank you, thank you, thank you to everyone who planned, executed, sponsored, raised their paddles, and celebrated Lake Washington Girls Middle School at the Gala last Friday night! It was wonderful to see our community gathered together and wholeheartedly supporting L-Dub girls. We are thrilled to report that your contributions raised over $145,000! Wow! We must take a moment to thank Susie Bunker and the Fearless GALA Team, Shelley Thomas, Jane Dauber, Sumathi Ragahavan, Rachel Stamm, Christine Gutierrez, Hannah Morgan, the multi-talented set up crew Joe Park, Eric Olson, Ed Fotheringham, Ann Pottier, Joyce and Michael Cruz, Amy Young, Diedra Murano, Jill Jago, Leanne Corcoran, Jean Joichi, Quantum Martial Arts for their brawn and late night clean up help, and our very own Ben Jablonsky and Dawn James of Pyramid Catering for nourishing us! The Superstar Alumnae who inspired us all, Sami Braman '12, Anna Fotheringham '12, Char Cox '15, Whitney Knox '01, Elizabeth Huse '13, Rachel Kaftan '13, and Quinn Angelou-Lysaker '13, Maddie Lee '07, Parkavi Turner '11, and Mackenzie Lawrence '01. In my three years here, L-Dub has designed and made me a dress. It’s a long, red, beautiful dress that looks straight out of the fifties, obviously they knew it had to be something that practically screamed Lily Stubecki. Sixth grade is when it started. Thread by thread, the dress started to form – not yet a shape, mostly a blob of fabric. As my classmates and I formed bonds, the dress formed stitches. Seventh grade came, and I could see it, just barely: The L-Dub Dress, specialized for Lily. Made with courage and curiosity instead of chiffon. Self-expression and spirit instead of satin. Memories replaced material and happiness was used for the hem. The dress wasn’t made from scratch, it sourced from my own strength. But as it started to become finished, I noticed that it was also adorned with my classmates, each girl a stitch. I wondered how thirty three girls, thirty three woven threads, could make me into the best Lily I could be – the Cinderella of the ball. It still stumps me. Now, I'm in eighth grade, and I don't know if I'm ready to leave. The dress is complete, just as my time here at L-Dub is. The dress certainly isn’t perfect, but neither am I. Sometimes, the stitching can get quite close together. After two straight weeks with my classmates, no weekend, for the Walls to Bridges Social Justice Trip, I definitely felt a little cramped. Sometimes the stitching is too spaced apart. During winter breaks, spring breaks, and summer breaks, I could feel the ache to be near my classmates. How much I missed them sometimes scared me. But in the end, it didn't matter because I always had thirty three girls there to be tired and grumpy with me, or hug me tight when we saw each other after two weeks apart. And most importantly, at L-Dub, I always had myself. There has never been a time where I don’t recognize the dress as my own. 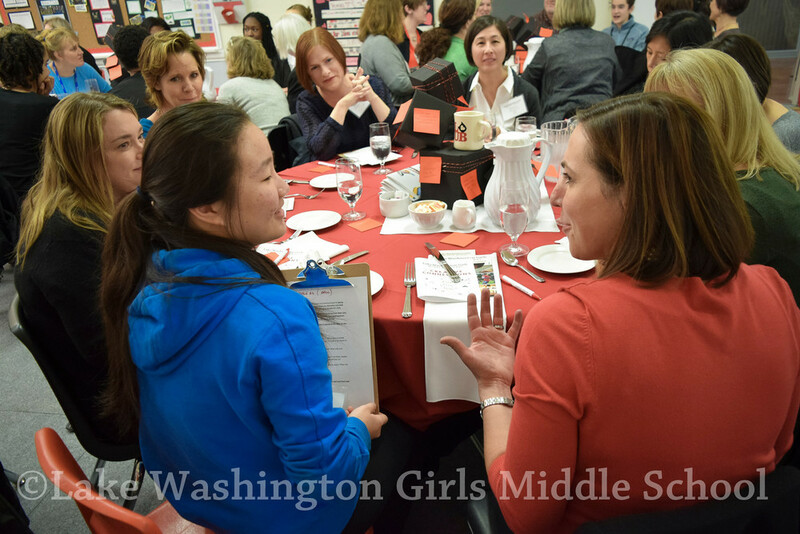 Lake Washington Girls Middle school has helped me find myself, and know myself. This dress that L-Dub has made me is my armor. I love every inch of it, and leaving won't be as hard when I'm taking something with me. So thank you, L-Dub, for giving me this dress, this potential life changer. Every fall I wonder what the year will have in store for us. What challenges, opportunities, and victories lie ahead? Every year proves to exceed expectation. From the Luncheon to the Gala, from an eighth grade film on Islamophobia to a direct action campaign in support of equal access for transgender bathroom rights, and from Lily’s speech celebrating her strength, her curiosity, and courage by way of a red satin dress – we are proud, we are inspired, and we are ready to embrace what is yet to come. On behalf of everyone at L-Dub we thank you for sharing your time, your talents, your resources, and your love. The LWGMS community lost three strong and inspiring members this year. It is with deep sorrow – and fond memories – that we share this news. Patricia Flores Perez '08 was born on February 19, 1994 in San Nicolas de los Garza, Mexico and passed away on August 28, 2016 in Seattle, Washington. 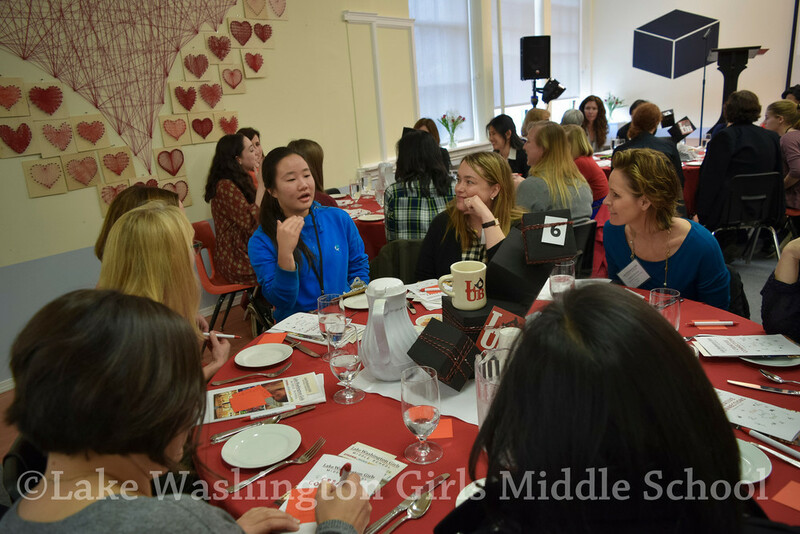 Patricia came to LWGMS in seventh grade from Rainier Scholars and immersed herself in every aspect of our community. While at LWGMS she was a motivated student, a talented actor, and a caring classmate. Patricia went on to Bishop Blanchet High School and then Columbia University, graduating in 2016 with a degree in finance and business. As an adult, she was a passionate advocate for social justice and a believer in following her dreams. Her love for her family and her community were first and foremost in her life. She will be very missed. 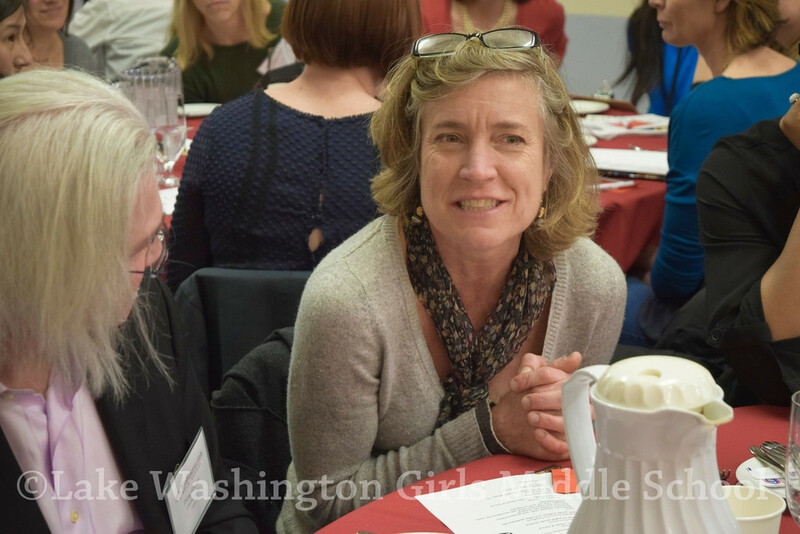 Leslie Ashbaugh, Assistant Vice Chancellor for Academic Achievement at the University of Washington, Bothell and Lake Washington Girls Middle School parent and champion, died on March 29, 2016, after a long battle with cancer. A strong and kind woman, Dr. Ashbaugh served on the LWGMS board for a number of years, chairing the Advancement Committee and supporting the school’s efforts in community building, outreach, and social justice. She and daughter Elly ‘11 organized a trip to Zambia in the summer of 2010 to support the Kakumbi School, and – always a teacher – Dr. Ashbaugh rallied the LWGMS community around the cause. We are grateful for all she did for LWGMS. Pioneer, philanthropist, entrepreneur, restaurateur, and beloved parent of Lake Washington Girls Middle School alumna Isabella, and advocate Susan Kaufman died after a long, courageous battle with cancer on July 23, 2016. Susan’s warmth was evident in her two Eastlake neighborhood restaurants, where customers became regulars who returned for decades. Susan’s staff and friends describe her as a woman who was deeply committed to the sustainable food movement, building community, and taking care of people. Susan took care of the L-Dub community through her generosity of spirit and food. Susan embodied what L-Dub is all about – being strong in mind, body, and voice – and we know her strength and spirit will live on in Isa ‘11.